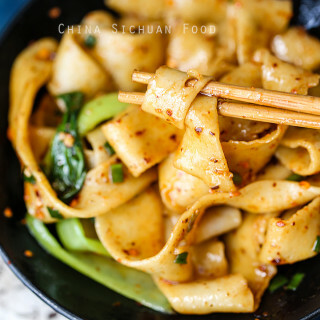 Recently I get the feedback from some of my readers that they are confused about the sauces and pastes mentioned in the recipes from this blog or other places introducing real Chinese recipes. Either you are familiar with Chinese cooking or not, the large ground of sauces used in Chinese recipes sometimes can be quite confusing. This is a post to guide you from the beginner to advanced Chinese cooking–using different types of sauces and paste for flavoring. 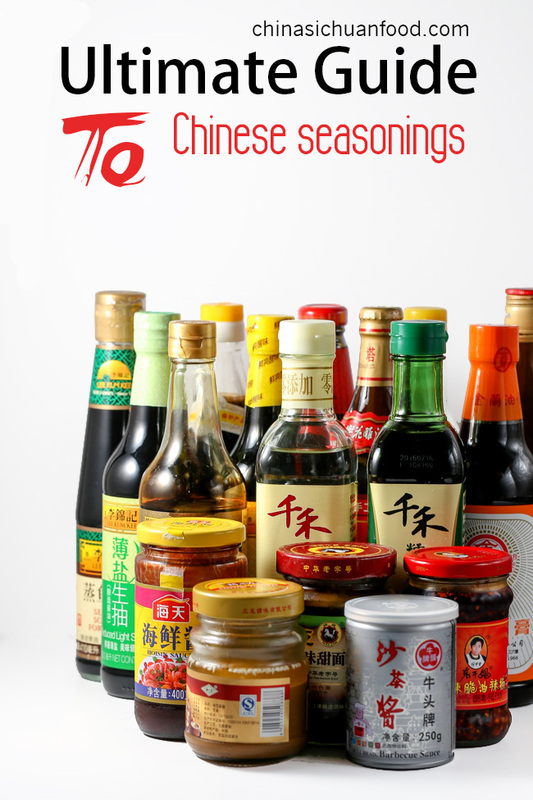 It include introduction of various Chinese sauces, pastes, cooking wine, vinegars and oil. Soy sauce should be come firstly since it is the basic for many stir-fry sauces. Soy sauce is a traditional seasoning for Chinese recipe which is made from soy beans, wheat and wheat bran (麸皮). It has a mildly salty flavor and bright red color after fermentation. There are three types of soy sauce: light soy sauce, dark soy sauce and soy sauce pastes. They perform differently in dishes. 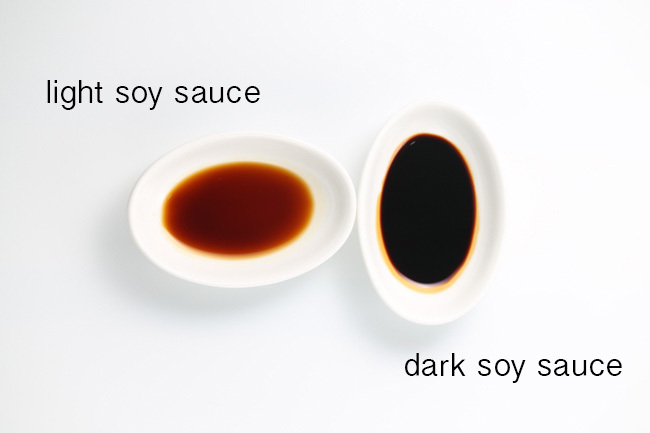 Light soy sauce(生抽) has a lighter color than dark soy sauce and it mainly used for adding the flavor. So it is commonly used in stir fry dishes, salad, noodle soups and dipping sauces. So for most Chinese stir-fry recipe, if only soy sauce is called, use light soy sauce! Dark soy sauce(老抽) is the common soy sauce with caramel. With a darker the color. It is mainly used for adding the color of the dish. For example in most red-braised dishes, dark soy sauce usually is used. Soy sauce paste (酱油膏) is sweeteded soy sauce with a thicker texture (quite similar to oyster suace), extremely popular in Taiwan. The most famous brand of soy sauce paste is Kimlan. It can be used in stir-fries, dipping sauces and red-braising (especially taiwan style red-braising like Luroufan.) 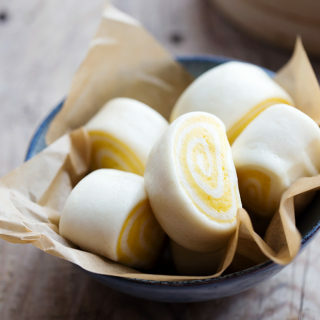 More details about how it is used in Taiwanese cuisine, check here. For the western part of China, broad bean paste or doubanjiang (豆瓣酱)is a typical chili sauce from Sichuan china.It is the most important ingredients for lots of famous Szechuan dishes, including twice cooked pork belly, mapo tofu, and Sichuan style water boiled fish. After long time fermentation, doubanjiang has a unique spicy flavor. There are several Pixian doubanjiang brands in China but only 2 of them popular outside China (Juancheng and DanDan). Housewives in Sichuan province love to make red oil doubanjiang, which is usually kept in a jar. If you ever visit any Chinese restaurants, you will find chili oil or chili sauces on the table as a customer self-serve sauce. They can almost go well with everything Chinese. A dumpling dipping sauce, a bowl of congee, warm noodles soups or even steamed buns. 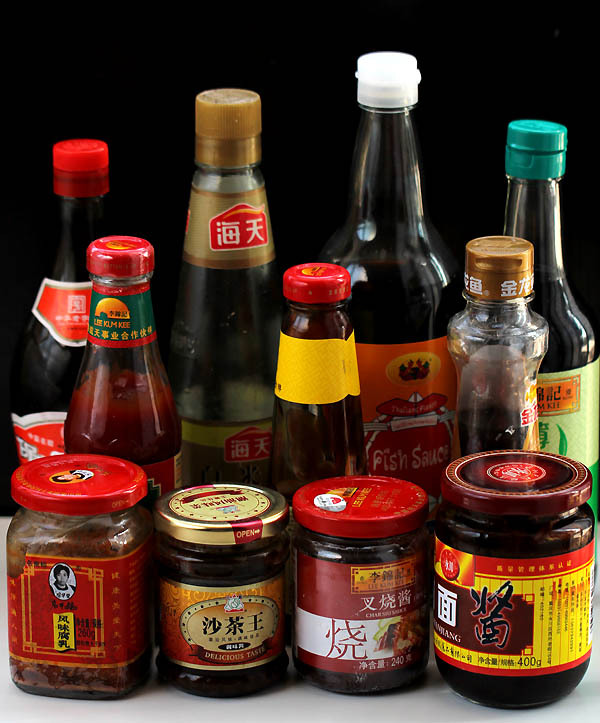 They are several types of chili oil and sauces that are loved by Chinese foodies. The most famous one might be Laoganma (老干妈), we sometimes joke that she is the godmother of all lazy Chinese foodies. Back in 1996, Tao Huabi opened a small shop selling noodles, but she became quite popular due to her great taste chili sauce. Years later, after shutting down the small shop, Tao Huabi devoted herself into a chili sauce production line. 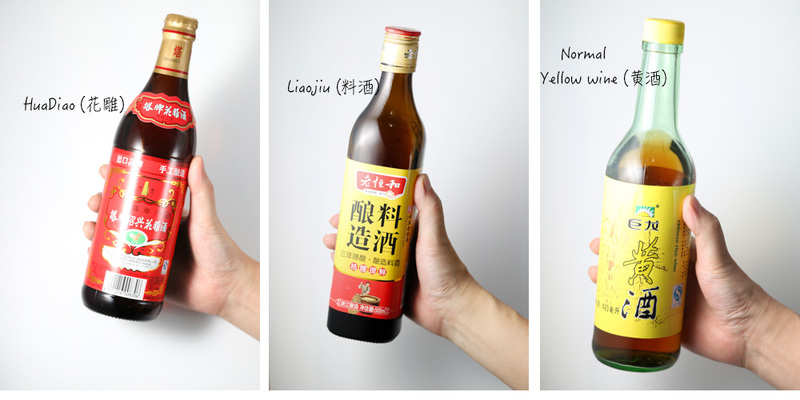 The two most popular chili oils from Laoganma are crisp chili oil and black bean chili oil. And I love chicken oil chili sauce too. In most cases, they bring quite good tastes in most stir-fry dishes, soups, dipping sauces and cold salad. Laobanma has obtained high popularity outside China. You can find them in Asian markets and groceries. 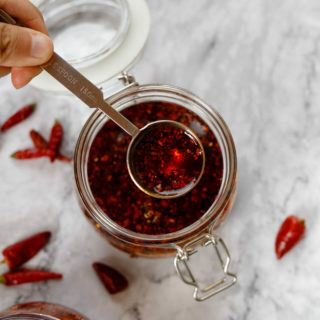 Besides the Godmother, there are other two dominating chili sauce widely used in Sichuan cuisine and Hunan cuisine–Szechuan chili oil(川味红油) and Hunan chopped chili(湖南剁椒). Szechuan chili oil, sometimes is simplified as Chinese chili oil is made with red pepper flakes, spices and oil. With a well balanced mala taste, it is one of the most essential ingredients for lots of Sichuan dishes like red oil wonton, mouthwatering chicken and dan dan noodles. Hunan chopped chili (湖南剁椒) is a slightly fermented chili paste with a much fresher taste with a slight touch of sour taste. Usually garlic and ginger are also called for common Hunan chopped chili. It is super great with steamed food like steamed fish head, steamed baby taro and etc. Fermented black beans are made of fermented salted black beans and rice wine. They have a savory and slightly salty flavor. In most cases, fermented black beans can be used in steamed recipes for example steamed ribs and in grilled fish. Spicy black bean sauce is made from fermented black beans, spices and oil. One of the most popular brand in China is Lao Gan Ma Black Bean Chilli Sauce, 280g . Chinese cooking wines play really important roles in most Chinese seafood recipes and meat dishes. The highest quality (Huadiao) is a pure yellow wine. Based on yellow wine and white wine, Chinese developed their cooking wine (Liaojiao) by adding other seasonings. Generally, Liaojiu is much cheaper than Huadiao. Brown bean paste also known sweet bean paste is quite popular in northern part of China and in Sichuan area. It is the main dipping sauce for the famous Beijing roasted duck (北京烤鸭). Brown bean paste usually is made from soy beans and flour with a special fermentation process. The sweet tastes come from the maltose and glucose in the fermentation process, and the fresh tastes come from the amino acid. Then salt is added to balance the taste. 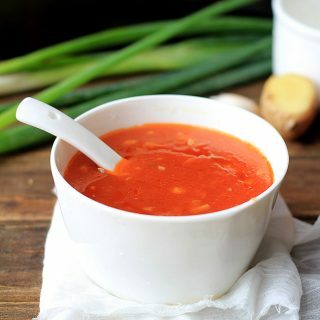 Sha Cha Sauce (沙茶酱) is a complex sauce popular in Southern China, Guangdong province and Taiwan area Mild Sha Cha Sauce have a slightly sweet taste. There are several different varieties in China. But all of them require a huge group of ingredients including peanuts, sesame paste and spices. The most popular way of using Sha Cha sauce is the dips of hot pot, especially Beef hot pot. Personally I love Taiwan bull head..
Hoisin sauce or hoisin paste has a dark, rich and spicy-sweet flavor. The color is reddish brown. Usually hoisin is made from soybeans, garlic and Chinese spices. It also can be used in dips for hot pot or marinating for meat like Hoisin pork with steamed buns. Char siu sauce is quite popular in sorthern part of china. It is a salty and sweet sauce made of soy sauce, vinegar, chili, garlic, sugar and Chinese five spicy powders. It is a perfect sauce for chicken wings, char siu pork and ribs. You can buy store bough Char Siu Sauce or match one using other ingredients. Sesame paste is made of roasted sesame seeds and it is also called as 麻酱 in China. From the color, we have white sesame paste and black sesame paste. It is the magic paste for lots of yummy Chinese dishes. 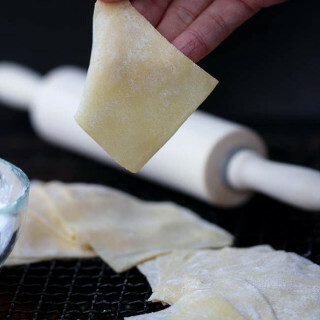 With just a small amount, sesame paste can greatly improve the tastes of noodles (Wuhan Hot and dry noodles, Dan Dan noodles, Szechuan cold noodles). 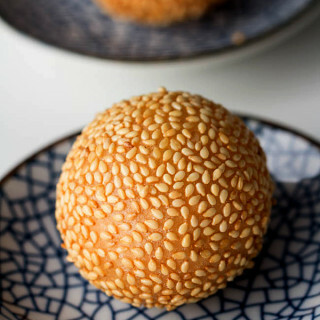 Due to the distinctive nutty aroma and taste, sesame oil is one of the most important flavor enhancer in Chinese cooking. It almost can go well with everything Chinese like steamed eggs, stir fries, soups, dips and salad. In most cases, Chinese sesame oils are toasted pure sesame oil, either white sesame oil or black sesame oil. 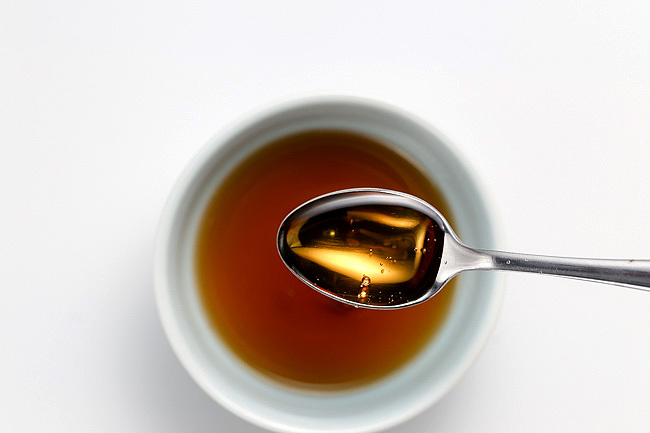 Oyster sauce has a sweet and salty taste and with some smoky feeling. Commonly oyster sauce is made from oyster extracts, sugar, water, soy sauce and wheat flour. 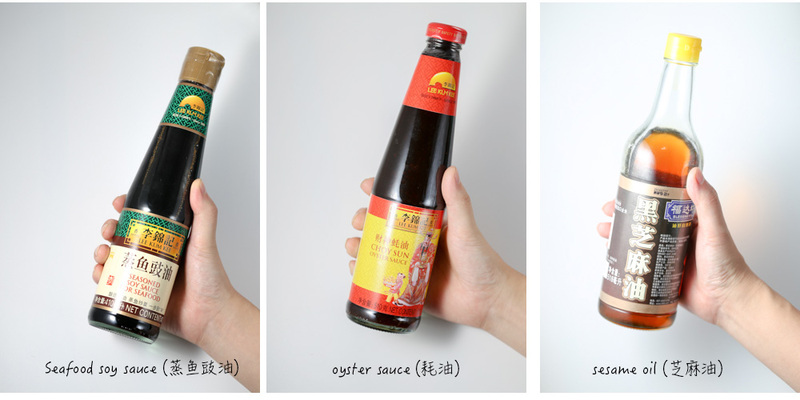 It is a seasoning for beef and fish recipes.Oyster sauce in mainly used in Guangdong Cuisine. Generally we have white vinegar, black vinegar and red vinegar (mainly popular in Zhejiang province) in China. Unlike the fruit and wine vinegar popular in western cuisines, vinegar in China is fermented based on grains (rice usually glutinous rice), wheat bran and sorghum. In most cases, black vinegar is widely used due to its aroma. Red vinegar is mainly used as dips or coloring for roasted meat. While white vinegar is used when sour taste is required but no influence on the color for example quick pickles (跳水泡菜). There is a very thick and different mature vinegar (老陈醋), mainly produced in Shanxi province. Mature vinegar is fermented based on peas, sorghum, wheat, salt and spices. It has a longer history than rice based vinegar. 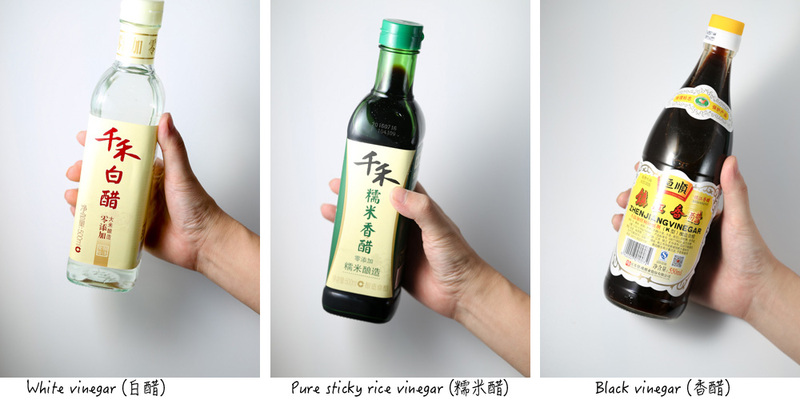 The taste of mature vinegar is also much stronger and more complex than other common cooking vinegars in China. As a result, it might be the best choice for dipping sauces. All those seasoning look so familiar. I’ve seen them around my house since I was young but what I have no idea are Sichuan seasoning such as doubanjiang, Lao gan ma black bean chili sauce, Sichuan peppercorn oil and different spices used in Sichuan hot pot and hot pot sauce. I just bought Lao gan ma black bean chili sauce a week ago because the sichuan restaurant told me they added this sauce into mapotofu. Still in my fridge cos I don’t know how to use it. I took a lot of sichuan dishes photo I would like to show you. If there is anyway I could send them to you? Email? For sichuan style hot pot, doubanjiang, black bean, sichuan peppercorns are must. And also there are other spices used including 草果 (Cǎo Guǒ) Cardamom,大茴香/八角 (Dà Huí Xiāng/Bā Jiǎo) Star Anise,茴香 (Huí Xiāng) Fennel Seeds,桂皮 (Guì Pí) Cinnamon,山奈 (Shān Nài) Kaempferia Galanga,白豆蔻 (Bái Dòu Kòu) White Cardamon and Black cardamom. If you get any pictures, yes, you can send me via Email. Hi Elaine, whats the difference between rice wine and cooking wine? is mirin a rice or cooking wine? Cooking wine is a group name for all wine used in meat dishes to remove the raw taste, usually made from glutinous rice with other spices . Rice wine itself can be drink directly in China. Mirin is a Japanese culinary combined wine similar to rice wine. But personally, I am not familiar with mirin too. thank you, so i better go and get a cooking wine and a rice wine 🙂 can i use shaoxing wine as a cooking or as a rice wine? have you ever heard of sardee sauce? Do you mean Satay sauce? I never heard of sardee sauce before. Well, that’s a wonderful and lovely ambition. Good luck with your kitchen adventure! Thank you so much for the introduction. I think my question that I asked you yesterday is answered here. Hi, I recently asked the lady at our favourite Chinese restaurant what spice went into her satay sauce. She told me but I really couldn’t her and didn’t want to be rude. I did understand that it was not chilly but some spicy sauce. Would you have any idea what it might be. I am quite sorry that I cannot figure out the exact answer based on the above information. If the lady is using satay, I think possibly it is spicy sha cha sauce. If you have 50 people making Satay sauce you’ll have 75 different recipes … there is no ONE Satay sauce. I love experimenting and must have made Satay at least 250 different ways … but have never been able to replicate one GREAT tasting combination I made somewhere around 20 years ago. Actually made it in bulk (about 8 liters) for a tennis tournement and had people begging for the recipe .. I wish I’d written it down. My basic recipe starts of course with the base peanut butter, a very big dose of salty soya sauce, garlic to taste (with me that’s LOTS) and a tablespoon of a medium curry powder with coconut milk or just water, first frying the garlic and curry in butter. and adding any combination of other spices as the mood takes me .. Spices such as ginger powder, kardemon, fenugreek, chilli paste, celery salt, paprika and anything else I find in the cupboard …. but just don’t OVER-taste. 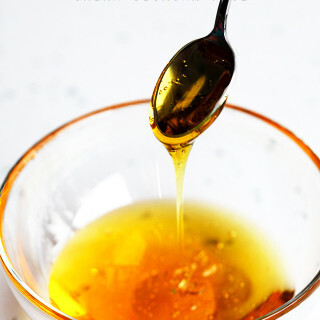 Just make sure that it warms up VERY SLOWLY and NEVER EVER boils, the oil will split out of the sauce ,, if it does you can resurrect it to an extent by addding water but it will definitely not be the same. Waiting to see what the result is each time is 95% of the fun. Hi, could you tell me what tauban sauce is please? touban is the board bean past in China. I have updated the article and hope it can help more. hi elaine, is there a way to substitute doubanjiang with some other chili sauce? Honestly, I really do not recommend replacing doubanjing for real Sichuan dishes. It is so unique and a great partner with fermented black beans. However for freestyle home cooking dishes, you can replace it with other fermented savory chili paste for example Korean style chili paste. hi again elaine, i managed to get some chili bean sauce from chinatown. https://www.wingyipstore.co.uk/fu-chi-chilli-bean-sauce-jar-400g.html is this the same as doubanjiang?? This version is not traditional Sichuan style Doubanjiang, as I see it is made from soy beans instead of fava beans. I am desperately trying to hunt down a recipe for the “ma jiang” sesame dipping sauce traditionally served with Beijing hotpot. Other than the obvious Sesame paste, I’m pretty sure dou ban jiang is also involved. Does anyone know of an authentic recipe? The Ma Jiang served with Beijing hot pot is a tuned sesame paste mixed with other ingredients. It is not a single ingredient. HI Elaine I want to start manufacturing Chinese sauces in India like you have in China.Can you kindly assist me. Dear Elaine, your website is full of great inspiring recipes and useful information. I just bought orange tofu at the market, but I tried to find a Chinese style of cooking these tofu but it’s so rare. Might be you know. Orange tofu is easy to finish at home. I will try to post a recipe soon. But just for your information, firstly we need to pan-fried those tofu until crispy and then coat with a common Chinese style orange sauce. Some Chinese restaurants have a dish called baby shrimp in chili sauce. I love this spicy red sauce but what other names on a menu would this be the same as? Hunan, Szechuan, or something else? We add baby shrimp to add some umami to the sauce. This is no name for the sauce in China. I am gluten free and am struggling to find a doubanjiang product without wheat in it. Also the ones you suggest are unavailable or not showing on the UK Amazon site. What would you suggest I could use instead? Could miso work? 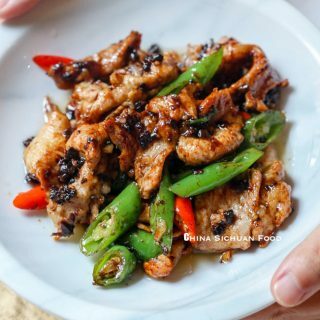 I am also new to cooking authentic Chinese cuisine so don’t want to commit to too many ingredients… Would you say limiting it to the following would be an acceptable start: black vinegar, chilli oil (will make own with Szechuan peppercorns), black bean sauce, sesame oil, tamari sauce (all other soy sauce isn’t gluten free) and hopefully a doubanjiang if I find one. I would appreciate any answer! Some of our homemade doubanjiang can be gluten free. For example my grandma make doubanjiang gluten free because she does not add only wheat or flour for spreading the starters. However store-bought doubanjiang all contents a very small amount of flour. Miso cannot work for doubanjiang. Szechuan chili oil, sesame oil and some black beans sauce should be gluten free. But most black vinegar is not gluten free because wheat is contained. Most of rice vinegar is gluten free, containing only sticky rice, water and sugar. For soy sauce, you can use gluten free soy sauce. 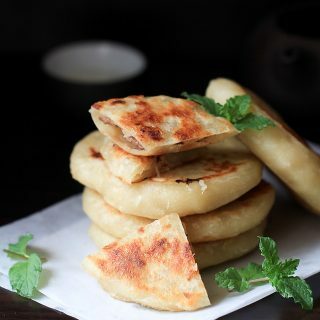 I suggest you making your own gluten free doubanjiang and use sticky rice flour to spread the starter. Is there a popular brand for Shaoxing wine? I live in Paris at the moment and I’m dying to get my hands on it to cook some real authentic Chinese food. Perhaps I can try find it based on the brand. In China, we pay little attention to the brands. As long as the cooking wine is produced based in that area, it should be with great quality. I do not know the what brand is sold in Paris. If you cannot figure out the right product, you can use dry sherry as a substitute. Hi Elaine, many years ago (15) I lived in Seattle. I would get dim sum in several restaurants in Seattle, my favorite was the King Cafe which closed about 12 years ago. But all of the local shops used a reddish brown, creamy smooth hot sauce that you mixed with soy sauce to spice or dip your dim sum in. But when I returned in 2012, none of the shops use that sauce anymore. When I asked about it, one owner told me that it had something in it that was banned in the US, but that I could buy it in Canada. Do you have any idea what that hot sauce is called, or if it is available in the US? Sorry that I cannot judge the sauce by your description. Is it packaged in bottles or prepared by the restaurant only? Anyone have a recipe for Szechuan Sauce? Would appreciate the recipe. There is no such thing as Szechuan sauce in China. I will check what’s it and see whether we can figure out a recipe. I happened to buy Kimlan Oriental Vinegar Sauce – out of curiosity. It has a pleasant flavour, and I wonder if you have suggestions regarding how to use it. Sorry, I didn’t taste Kimlan Oriental Vinegar Sauce previously. But I believe it should be great in dips and salad. I want to know Chinese dishes like main course and starter. In real Chinese dishes, we do not have main course and starter. Instead we have meat dishes and side dishes. You can browse the recipes from the recipe menu, where a lot of submenus are added. You can find your favorite meat dishes and side dishes. Your website is awesome! Cooking always seem intimidating to me, especially Chinese cooking, even though I am Chinese. So thrilled to find all the great information on your website. Well done. The pictures are very helpful too. I’m bilingual and living in the US It’s nice to be able to match English and Chinese descriptions and pictures to know exactly what I should buy/use. Thank you! I will add that information whenever necessary, Anne. This is a very helpful suggestion. Thanks so much. So where does Shaoxing wine categorized to? In most cases, Shaoxing wine is high quality cooking wine. So it’s not the same as Hua Tio? what’s the difference? Hua Diao is one of the Shaoxing Wine family. Very informative website, I learned a lot. I have a good supply of everything Chinese and love experimenting. I started by ordering food delivered from P.F. Changes restaurant, then I would replicate it and experiment with different sauces etc. t. I love Chinese food and wish I had an Asian chef. I had never eaten in a Chinese restaurant until I moved to Texas. Although complex traditional Chinese dishes are hard to cook at home, making simple home style Chinese dishes are quite easy. I wish you can enjoy your favorite Chinese dishes with my recipes. Happy cooking! The seasonings which you recommend in your article are diverse. But there is no seasoning for fish or soup? I am the manufacture of all kinds of Sichuan flavour. Have you ever known Sichuan pickles,which can be used to do fish with Sichuan pickles,soup and other Sichuan dishes. Can I get your E-mail address? I can send some detail information about Sichuan pickle to you, you can enrich your information. Thanks Cherry for you information. I will add that section whenever necessary. I do not cook frequently with packaged seasonings. 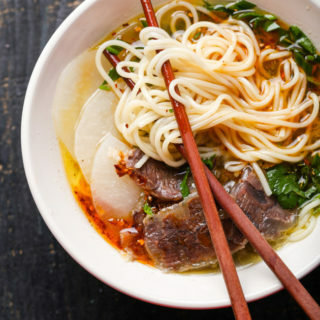 Do you know of any source of small quantities of the most-used essential dry and liquid ingredients for making a variety of Asian recipes to try? I’m trying to avoid being left with a large quantity of ingredients which I might not use again after I have decided which recipes I would like to make often. You really bring out a very good point. I have this problem myself. As a recipe developer, I am always willing to try different condiment and seasonings, but lots of them are left. Currently, there are no such products on the market. So I am sorry that I cannot help. thanks so much for the sauce guide! Especially the amazon links! Very much appreciated. You are the most welcome, Adrea. I believe the photo of amazon can help you to recognize the ingredients. Both dark soy sauce and light soy sauce in Chinese cuisine are savory soy sauce. You can refer to this for sweet soy sauce. I use black vinegar as a base, adding light soy sauce or shredded ginger as options. You are most welcome. Happy cooking! I’ve been looking for a brown garlic sauce recipe. I love the roast pork and vegetables with garlic sauce I get from my local Chinese takeout place. I’ve looked on line but there are hundreds of variations. Do you have a recipe? Sorry, I failed to determine the sauce you mention. Do you mean a dipping sauce or a stir-frying sauce for vegetables.